A bronze bust of Camillo Golgi has been placed just in front of the Municipality Hall (Piazza Venturini, 1), in Corteno Golgi. In Golgi's time, this building hosted the primary school attended by the future Nobel Prize. 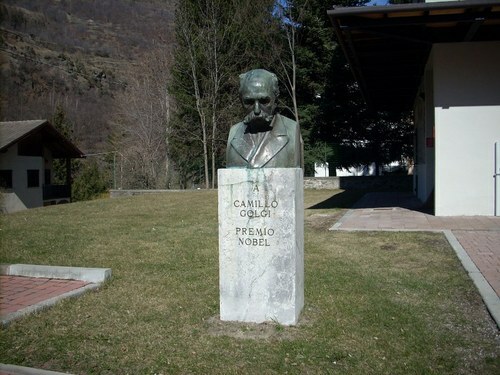 On the basament, a very simple italian inscription reads as follows: "A / CAMILLO / GOLGI / PREMIO / NOBEL".